Finally finding time to reflect on our Fall 2018 Brunch, and it feels so good! 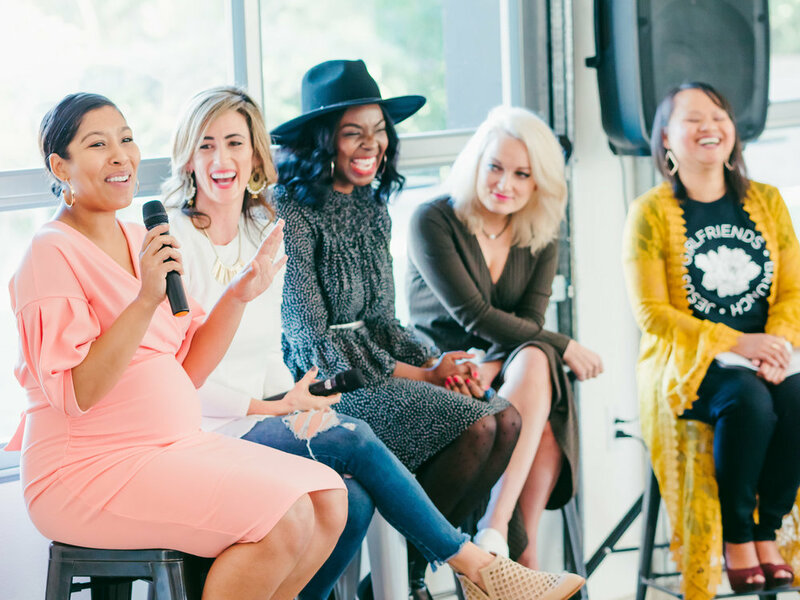 Our fall brunch was one full of laughter, cries and a whole lot of encouragement. I found myself simply looking around at all the diversity in the room and being reminded that we all have a story and my story maybe different from yours, but we are designed with a purpose and we are all designed with endurance and we are all capable of creating and living out some amazing things, because God gave us purpose here on earth. We gathered at The Grove on Brushy Creek, for the third year and it was beautiful. WE decided to go with a little different set up this time, going with round tables and a more warm and cozy feel. Thanks to Taylor Moss with You Are Loved Photography for capturing the day. And laugh some more….. Our Faith panel was full of encouragement. Rebecca H Designs set up a booth, will share more on Part 2..
Priscilla Black brought the word and lots of encouragement.